Ahead of the holidays, I had the chance to make one last customer/partner visit to the Sony Pictures studios lot, and what I saw blew me away. In the land of fantasy, celluloid and big ideas we met with Innovation Studios and saw yet another example of why one of this year’s biggest trends will be how data is continuing to reshape industries. 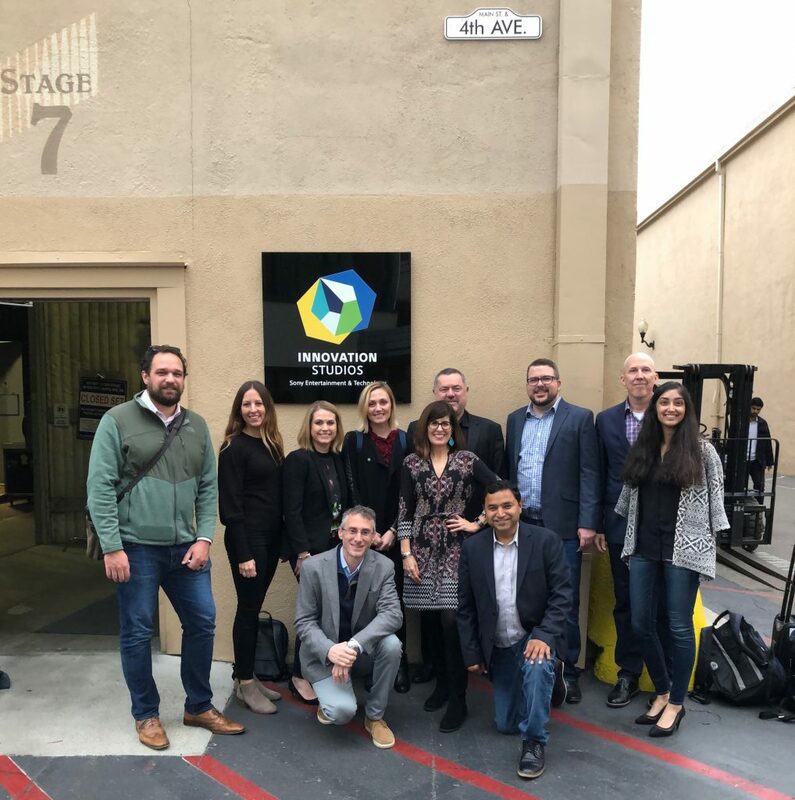 Dell Technologies, Intel, Deloitte and Sony Pictures Entertainment came together in 2018 to help create Innovation Studios. My trip was to follow up on this and see Sony’s vision of the future and how they were using our technology to make it happen. Dell Technologies supported Innovation Studios with PowerEdge Servers, Dell EMC Networking, Isilon Storage, Dell workstations and VR gear. I saw just how much the analog and digital worlds are blurring through volumetric image acquisition, a process that produces a photo-realistic three-dimensional recreation of a physical environment. That description fails to capture the extent of what I saw. Imagine the room you’re now standing in, pick an object and gaze at it. Now move your head from side to side and up and down. See how the light hits it and illuminates it differently as your focus shifts? Now imagine walking behind that object and disappearing or having the object cast a shadow onto you. Volumetric image acquisition allows a person to interact with an object that isn’t there. The scene is shot against a green screen, a method most are familiar with from major blockbusters. But unlike CGI being inserted during post-production, this technology displays the virtual background and the physical actor/props in real-time allowing the director to see the finished product as they are shooting. This is a revolutionary way to tackle filmmaking that will increasingly find its way into blockbusters and indie films alike. Glenn Gainor, president of Innovation Studios, hopes to democratize storytelling by using technology to bring down the costs of filmmaking while creating immersive experiences that have previously been impossible to create. The studio looks pretty standard at first sight: to the right is a mini data center humming full of our equipment, and to the left is production equipment, cameras and a small stage with a green screen. When Glenn flipped on the camera, the “Shark Tank” exit interview set magically appeared the monitors (this virtual set had just made its debut on the show a few days earlier). As the camera moved around the empty studio, it appeared we were right there on the “Shark Tank” set, our eyes completely fooled. A Variety reporter recently noted a similar reaction from a “Shark Tank” production manager. Right now the rules are being broken. Inspirational leaders like Glenn are attempting to rewrite the story on how things are done. Imagine what this means for the entertainment industry. No more waiting until the lighting is just right. No more having to pay massive amounts to shoot on location. The ability to quickly spin up an environment for reshoots. This approach will deliver so much creative freedom and fundamentally change the way movies are made. Every industry will go through a similar transformation, but incorporating technology into the culture and skill set of a company can be difficult. Organizations need strong technology partners who are committed to helping them achieve these digital outcomes. In the case of Innovation Studios, that meant a partnership with Dell Technologies, Deloitte and Intel to deliver the technology solutions that made this possible. Volumetric capture is a very CPU and GPU intensive process and reproducing it live requires substantial bandwidth in compute, networking and high-performance storage. The solution deployed features Intel Xeon-powered PowerEdge servers, Dell EMC Networking and Isilon storage on the back end, plus Dell Precision Workstations. Our team has worked very closely with Innovation Studios to ensure they had the right hardware configured to deliver the performance and scale this solution required. I can’t wait to see how this reshapes the future of filmmaking. These are exciting times! To learn more about Innovation Studios and the virtual set created for “Shark Tank,” read the press release.